One wonders what the 2019 World Economic Forum in Davos, Switzerland will be like without the presence of the United States. Also by the way, it looks as if Vladimir Putin may be a no-show, and the world’s second largest player, China, has sent as surrogate Vice President Wang Qishan. Yes, there will be important players there, such as Angela Merkel, Japanese Prime Minister Shinzo Abe, and Prince William, who will be inspiring the homeless by showing them how to never work an honest day in your life. Globalization is nothing more than the process by which businesses or other organizations develop international influence or start operating on an international scale. This process is as old as time. Ever since men on earth encountered other tribes of people it was inevitable that they would share or trade their successes. 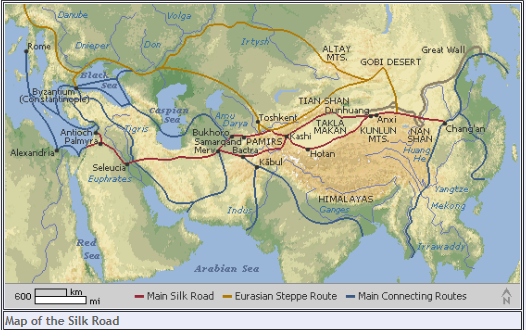 Most will recall the epic migration of goods and people buying from and selling to each other in lands at great distances, such as through the famed Silk Road across Central Asia that connected China and Europe during the Middle Ages. Globalization is said to come in waves, with this year’s theme being “Globalization 4.0: Shaping a Global Architecture in the Age of the Fourth Industrial Revolution.” This particle wave is reminiscent of those prevailing before the outbreak of the First World War in 1914. Globalization is a complex issue, and while some argue that it reduces global poverty, others argue that it actually increases wealth inequality worldwide. So where does the U.S. stand? Well, that of course depends on who you ask. The Trump administration argues that trading partners have taken advantage of the U.S. for decades, and Trump maintains he can get a better deal through smaller, bilateral agreements than regional ones such as the TPP. This is readily evidenced in trade deficits with China. According to others, Trump’s trade wars have left the U.S. playing catch-up with the EU, Japan, and other economic powers, which are moving ahead with trade deals that benefit their companies and farmers. Perhaps a compromise would be to negotiate bilaterally with our largest trading partners, and work down either in groups or regions from there. Last I checked, there were about 195 countries in the world. That’s a lot of bilateral agreements. God knows we need to maintain our supply of holy water from Vatican City. One thing is sure. Trade is a two-way street and both sides will never get everything they want. In the macroeconomic picture, increased free trade and communication between nations, along with increased access to technology, media, education, healthcare, consumer goods, and other resources are often considered advantages of globalization. This is especially true in developing nations. However, when one pulls back the sheets of globalization, you will find an inherent cultural homogenization, as we are currently seeing in the European Union experiment. The reasons that make trade difficult; culture, language, borders, taxes et al, are also the reasons why societal sovereignty is so important. This paradox of wanting cultural diversity while at the same time seeking a one-world globalized economy does not jive. How many people tunneling under the border between Mexico and Arizona had family or ancestors fight for freedom in World War I or II? Economic strength leads to military might. The demise of Russia from the cold war is just one example. Globalization is obviously necessary to advance not only our own economy, but all economies around the globe. Trump is right in that our interests should be put first. Why shouldn’t they? Would you prefer France or Germany to advance at our expense? I didn’t think so. America must come to grips and realize that economic capitalism in the form of a new wave of globalization is here. Do not let the goose stepping democratic socialists in house lead us down the wrong economic road. Otherwise, as was foreshadowed prior to World War II, we may all be speaking German again or worse. HORIST: Is the hyphen destroying the American culture?